One of the biggest benefits of having a hot tub bath is the ability to relax your body. This one benefit is also one of the benefits of meditation. Lowering of blood pressure, which helps individuals who have various heart ailments or the other. It also helps you to maintain a healthy heart. Improves focus. It has been scientifically proven that concentrating on one particular activity, for example, reciting a tune repeatedly improves focus very well. These benefits are also almost the same as the benefits obtained when using a hot tub to relax. Thus, combining meditation with a hot tub bath doubles the number of benefits. 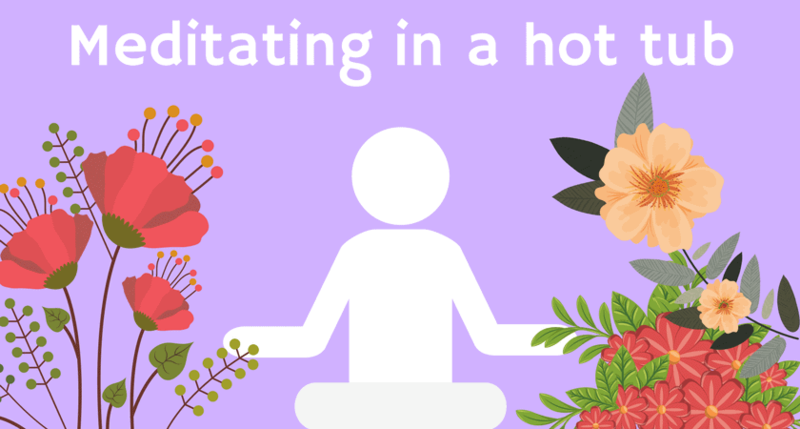 This article provides effective tips on how to meditate when in your hot tub. There has to be a time out of your schedule when you cannot be disturbed. This means no phone calls, no appointments, and no meetings. Also, it is important that you notify your family members not to disturb you at all for at least 15 to 20 minutes. Since it is highly recommended that you do not spend more than 20 minutes in the tub, then, your meditation should be at 20-minute intervals. When you soak in your body in the water and slowly breathe in and out, you are able to turn off stress and relax in a better manner. To perform this slow in and our breaths, try to allow your tummy to rise and fall with each breath. In order to have inner peace, you have to focus on the present. For you to focus on the present, you have to eliminate all kinds of distractions – no phone calls, no appointments, no meetings and no distractions from members of your family. In addition, it is better to turn off the tub jets, this is because the noise from the tub jet itself is going to be a distraction. Half open your eyes so that you will be aware of your environment, for example, the level of the water. This is to improve your focus and thus helps you relax better. The type of music highly recommended is smooth jazz. A type of music with only instrumentation and no lyrics, if you listen to music with lyrics, this is likely to distract your focus away from relaxing and unto the music. The main reason why mantra meditation is recommended is that it reduces any form of distraction to the barest minimum. By definition, mantra meditation is the repetition of a tune, or song continually. So if you find mind wandering in thoughts and thus being unable to focus, mantra meditation is most likely your way out. As an individual, you may tend to respond to a particular type of meditation more than the other. If a particular type of meditation is not working for you, try out another. Use Google especially YouTube videos to search for different types of meditation that will suit you.